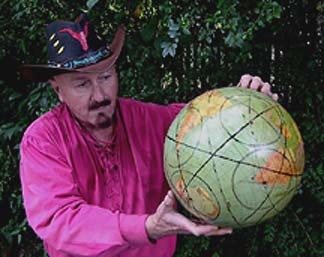 Rob Solàrion (Robert Traylor Russell)(1942-2010) was from Dallas, Texas and has written both on the Internet and in book form on a number of subjects including, Planet X or Nibiru(a), Pole Shift, Apollonius of Tyana(g) and Atlantis. Although formerly a member of Maxine Asher’s group, as he developed his own theory of Polar Axial Displacement he came to be an ardent supporter of an Antarctic location for Atlantis. His views on Atlantis in Antarctica, together with some caustic remarks about Asher(f) are available online. Solàrion has written a commentary(e) on Andrew Tomas’ Atlantis book.